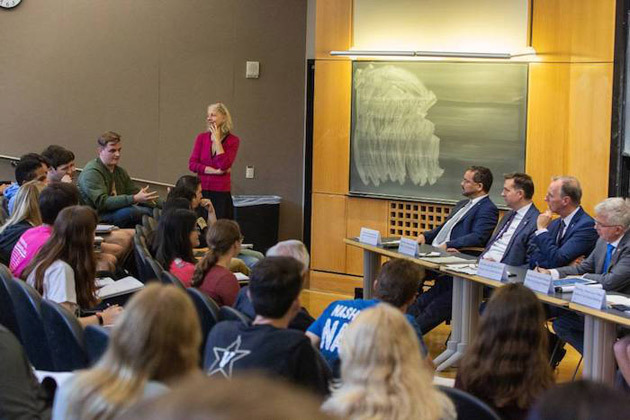 Seven members of the German Bundestag, Germany’s national parliament, visited a Vanderbilt class Oct. 31 to discuss a number of contemporary political issues with undergraduate students. 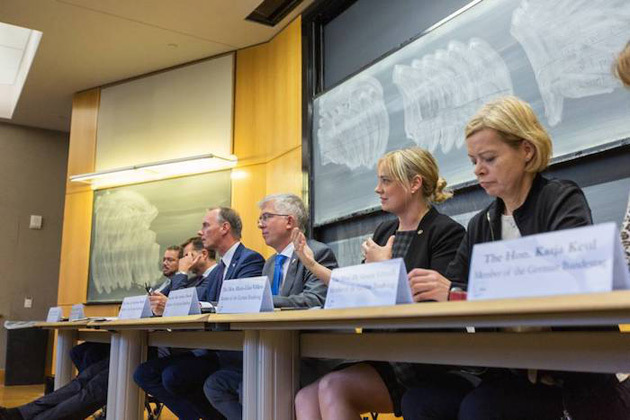 The German delegation served as a panel for a “trans-Atlantic town hall” hosted by Meike Werner, associate professor and chair of the German department, and Thomas Schwartz, professor of history. They discussed United States-German relations and various issues related to global politics. 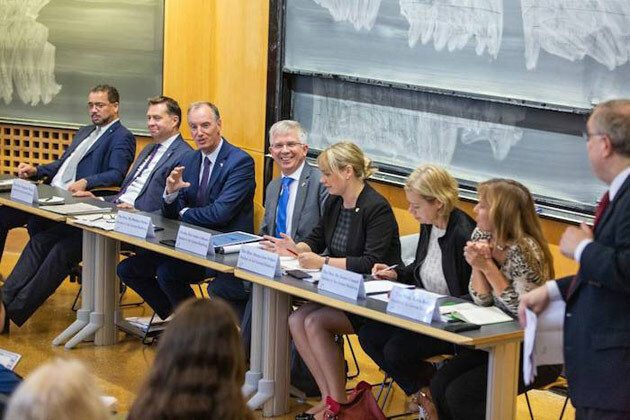 Representatives of the German delegation included Matthias Heider, MdB; Katja Keul, MdB; Stephan Mayer, MdB; Andrew Ullman; Marja-Liisa Völlers; Gesine Loetzsch; and Harald Weyel. The delegates were visiting the United States for the 35th Congress-Bundestag Seminar, an annual gathering that focuses heavily on the alliances and partnership between the two countries and allows them to explore topics of mutual interest. Undergraduate students from the Vanderbilt history and German departments asked the delegates a number of questions regarding alliances between certain nations and how various issues impact both the United States and Germany in similar ways. The panel engaged in lively debate about topics relevant to both countries, including party polarization, gender disparity in government, and immigration. 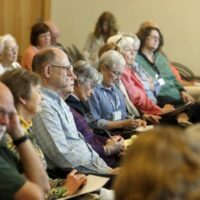 Delegates also talked about German educational systems, voting procedures and how they differ from the United States, and the value of democracy in both nations.